Where do I start!? What an amazing team Craig and Sarah are! We were recommended Craig through our venue, and once emailed, Craig organised a time to come round and have a chat. We clicked with him straight away, and I had already admired his work via his website and Facebook. Another couple of stress free meetings later, it was our wedding day, and Craig and Sarah turned up to our house to take some photos of the girls getting ready. What a lovely and easy hour that was! Craig settled my nerves, and directed us all efficiently to ensure we got the best photos in the shortest amount of time. Their understanding of how our wee boys( 8 months and 2.5) might behave, meant that getting photos of them was stress free and fun- a way to this mummas heart! At the wedding, we didn’t even know Craig and Sarah were photographing us, blending in, yet getting the best shots. 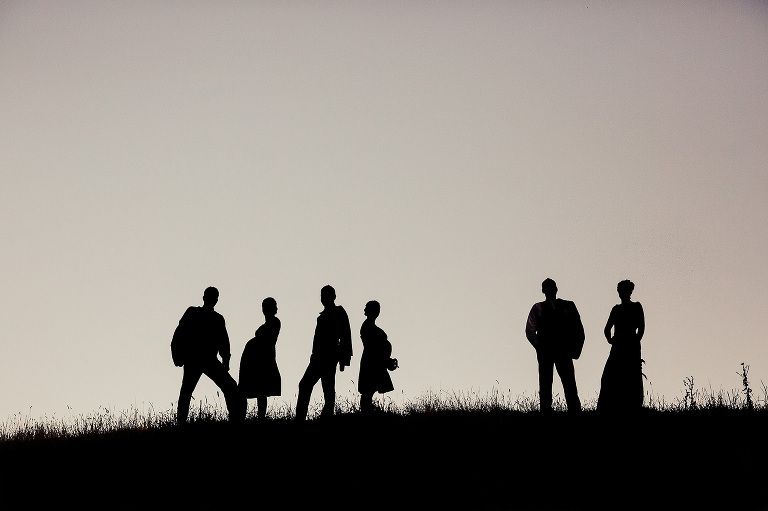 Our experience whilst out in the field with our bridal party was so calm and relaxed- with Craig and Sarah knowing exactly where the best places for the best shots were. We couldn’t have asked for more understanding and fabulous people to photograph our wedding- and to get our shots back to us so quickly so we could share our joy, was a complete shock! You are a legend Craig! We love every single photo, as they tell the story of our special day perfectly- you made it so difficult for us to chose just one to go on canvas! I would without a doubt use O’Neill Photographics again to take photos for any of our future family events, and Thank Craig and Sarah for providing a life long keepsake of our wedding. Craig and Sarah recently shot my wedding. The experience was amazing. Nothing was ever too hard, they worked together so well. Sarah held my dress and ensured we both looked amazing to get the best photos possible. They were funny and down to earth which made it an enjoyable day. Couldn’t rate them more highly! If your looking for a wedding photographer you’ve found the one! Many thanks! We just wanted to say thank you so so much for the album and the printed photos and for everything else! You guys were so helpful from the very start. When we first met with photographers we were pretty apprehensive but after we met Craig we knew straight away you two would be a great choice. We had an extremely stressful week leading up to the wedding and it didn’t help that it was raining on the day so we were very worried our photos would show that. But we were so happy to see how natural they were, how well the light was used on such a grey day and how naturally happy and full of love they are! You both worked so well together and we loved seeing you two feed off of each other especially when you both had ideas for photos and helped accommodate each other for them. We also really appreciated how calm and at ease you helped us both feel during the day too and your genuine excitement for our day really contributed to that. We are so happy with the finished products and really can’t thank you both enough!! We are so grateful to have these photos as candid memories and they mean so much to us. So thank you again and again! Craig and his wife Sarah are the most amazing team. They made us feel so comfortable on our wedding day and our photos are proof of that, just absolutely amazing! Our friends and family have all commented on how fanstatic our photos are. They are both so talented and got some amazing shots which are such lovely reminders of our special day. 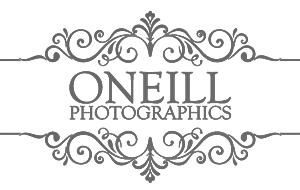 We highly highly recommend O’Neill Photographics! Cannot rave enough about this amazing couple!! Craig and Sarah are definetly the best in the business!! we received our final professional photo from our wedding 2 weeks ago! We could not be happier and are so so grateful to Craig and Sarah, they are so so down-to-earth and easy to work with! Want a chilled-out yet extremely professional couple to capture your special day?? Book in Quick!! Thank you so much for our beautiful photographs. They perfectly express the love and joy of our special day. We were very happy with the ease and professionalism during the lead up to and on our wedding day, we felt relaxed and stress-free. 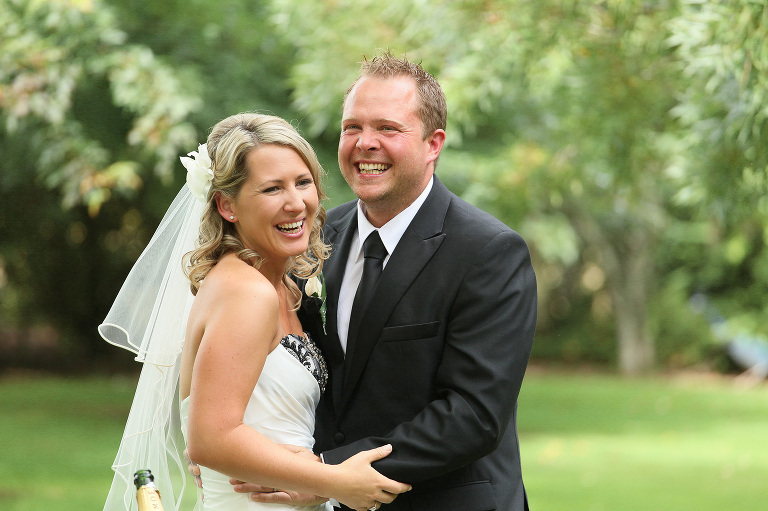 Our photographs are our record of a once in a lifetime occasion which you captured beautifully. From first contact through to receiving the final photographs we could not ask for a better experience and will recommend you to anyone in need of a professional photographer. Our experience with Craig at O’Neill Photographics was absolutely fantastic. Right from the very beginning Craig made everything so easy and stress free! We found Craig (and Sarah) incredibly professional and full of helpful advice to support us with planning our day. Craig worked with us to plan locations (Craig has an extensive wealth of knowledge in this area) and to suggest styles and settings for our photographs. Communication with Craig was always prompt and informative. Leading up to the wedding Craig advised us on how to position ourselves (standing, facial expressions) to take the best photographs. On the day of the wedding Craig captured so many incredible moments, all the while being discreet and respectful. Craig has also built up a number of strong relationships with a range of people involved in the wedding industry and has a number of recommendations and contacts. 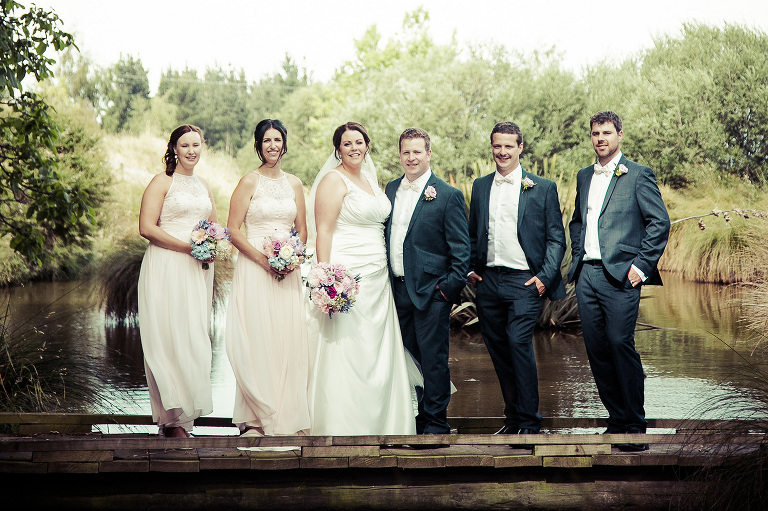 We highly recommend Craig and Sarah to anyone planning their wedding and deciding on their photographer. Thank you so much for all your help on our Wedding Day. You are the best photographer a Bride and Groom could ask for.Your relaxed and kindhearted nature made us both feel so comfortable on the day and the lead up.You have left us with an outstanding collection of pictures that are as treasured as the memories of the day itself. I never imagined I’d have a photographic story of my day that captured the magic the way your photographs have. Your natural style found raw emotion and beauty in every shot. We have said it before and will say it again YOU ARE THE BEST! Just wanted to say thank you so very much for our amazing wedding album. It is just stunning, we love it! You have got it just perfect, all the pictures, the angles, and even the placements in the album. I don’t know how you did it but I didn’t even get one reminder of how unwell I felt on the day (which I do still get very strongly from other pictures). You don’t know how much it means to me that I can look at the album and feel nothing but happy reminders of the day. I’m so glad that I have this to cherish. You’re a wicked photography ninja/genius! Amazing couple who work together just so well! Our day was made very stress free knowing we had a experienced and artistic photographer, Craig and Sarah also were just really relaxed and made being in front of the camera a joy! The photos are amazing! LOVE, LOVE, LOVE!!! Highly recommend can’t wait to have our hands on our special album. Dear Craig, we would like to thank you so very much for our beautiful wedding album! The photos, layout and quality of the album is absolutely amazing! We now have a very special book filled with fantastic memories that we will treasure forever. Thank you again for all of our wedding photos, you and Sarah certainly managed to capture our special day perfectly. Love Jo & Sam. Thank you from the bottom of our hearts for the beautiful photos and slides. You captured our little one just as we know her. We’ve looked at the photos over and over and as you predicted we cried and cried during the slides. And smiled and laughed and smiled some more. They are all so special and we can never thank you enough for your kindness, generosity, and gift that will last our whole lives. It means so much to us. We cannot speak highly enough about what a fantastic job Craig did at our wedding. He made us feel completely at ease during the whole process and he went well above and beyond the call of duty to make sure that everything was perfect for us. The quality of the photos and albums are top notch and we get many comments from our family and friends. They are the perfect momento of our special day. I recommend Craig to anyone who is looking for a photographer for their wedding or big occasion. A huge thanks Craig. Craig captured many wonderful moments during our wedding day. We are thrilled with our collection of photos and especially love the slideshow DVD – lovely to share with family and friends. We are looking forward to having some of our favourites put onto canvas very soon. Thanks again Craig! We could not recommend Craig highly enough. We love our photos, we were amazed by the great variety of shots taken. Looking through our beautiful album we really felt that he captured the essence of the day. Our family and friends love them and we will continue to enjoy looking at our photos for years to come. You are a master of your art! We opened the package last night, and were absolutely astounded. You really went the extra mile- the DVD was spectacular. Mum was crying, Dad was “open mouthed gaping”, I was screeching with delight and Ranui was in awe! They are just perfect! I love the journalistic style and the traditional settings as well. You have made my year! They are brilliant. Absolutely brilliant. You have captured the essence of our wedding so well, the photos are beautiful. Thank you SO much for such a brilliant job. Thanks for all your help at capturing our awesome day. Everyone was very impressed at your website and the photos that followed. We were both very suprised at how little the photos dragged on and that’s a testament of how relaxed you made us feel. Couldn’t be happier! Craig was our wedding photographer and did an exceptional job in capturing all the special moments of our wedding day. He was great to deal with and we all felt really comfortable with him. He managed to get some amazing shots and looking through our photos is like reliving the day all over again. We have had so many compliments on our photos and the quality of our album. We wholeheartedly recommend Craig to anyone looking for a fantastic photographer for any special occasion. Thanks again Craig.